April 23rd, 2019 Adams Ranch | Fund Raiser "Tour & Breakfast"
HAS BEEN POSTPONED UNTIL FURTHER NOTICE"
PLEASE RE-VISIT OUR WEBSITE FOR THE NEW DATE IN THE FALL"
A Fun Filled Day Not To Miss! I'm so glad we have homes & loving owners. What's going to happen to our buddies up there! "Paws n Claws" will help feed & find them homes! I can't wait till this years Pet & People Parade! Annual "Sandi Paws Pet & People Parade” ? from 3PM - 7PM! Free Admission. 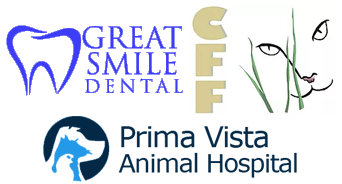 Paws-N-Claws Foundation was founded in 2014 by Dr. Gina Dean (a practicing Dentist in Fort Pierce for over 30 years) and Lawnwood Dental Center, PA as a 501(c )3 non-profit organization. The gourmet baked goods (Gina’s Bake Shop) led to gourmet treats for family pets, which in turn naturally opened the door to the Paws-N-Claws Foundation. 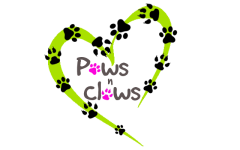 “The Paws-N-Claws Foundation”, is a non-profit organization. Our mission is to promote pet adoption and reduce pet euthanasia. We are requesting your participation in the “Annual Sandi Paws Pet & People Walk A-Thon Pet Parade. The event is held the second Saturday in September each year. 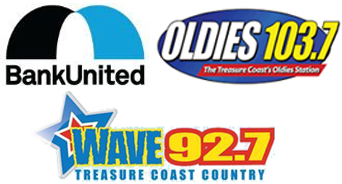 Your involvement would help highlight the importance of pet adoption and the elimination of pet euthanasia and make a difference for our pets on the Treasure Coast. Ms. Beryl Minker Qunn one of our beloved board members from our inception requested that her memorial was to send donations to the Paws-N-Claws Foundation in lieu of flowers.